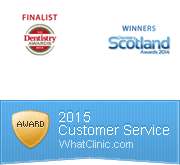 We are excited to announce that ZO Skin Health by Dr Sein Obagi is coming to Vita Dental Spa, Monifieth. ZO Skin Health is created by the world renowned skincare expert and dermatologist Dr Zein Obagi. Dr Obagi established his brand in 1988 for prescription-based skincare products for doctors to dispense to patients and further developed this is brand in 2007 by introducing salon and home skin care ranges. Dr Patricia Barry Murphy of Vita Dental Spa, Monifieth is very enthusiastic about this fabulous facial peel product being available to her clients. Not only does it revitalise the skin but it also helps corrects sun damage, control of the pigmentary system, the stimulation of skin collagen, and restore skin elasticity. A home skin care range is also available and has been produced to maintain the results of therapeutic treatments such as the facial peels and provide effective daily skincare and protection from the environment. More information and prices will be released in due course via our Facebook page https://www.facebook.com/vitadentalspa.co.uk/ .